In a healthy family, everyone pitches in to help meet needs. God gives believers unique gifts and experiences to serve one another and bring Him glory. Whatever your skills and passions, there’s a place for you to serve your Cherrydale family. 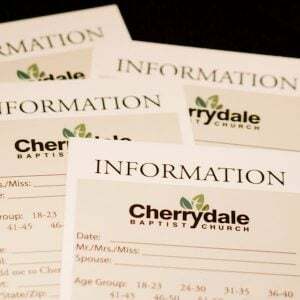 Are you a Cherrydale member? We’re committed to serve one another! You may receive an email requesting that you fill a volunteer position for which a ministry leader believes you’re qualified. In addition, you may browse or search for open positions based on criteria you choose or let Circle suggest positions based on information in your profile.